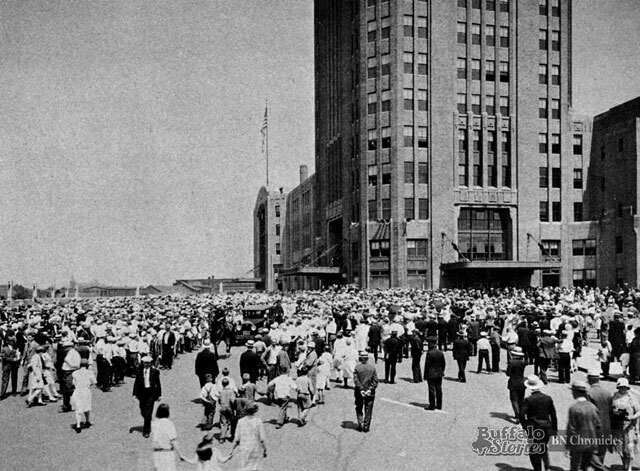 The throwing open of the doors of Buffalo’s new terminal “mark(ed) another milestone in the progress of the metropolitan city of Buffalo,” wrote reporter Paul Schifferle on the day this photo was taken — June 22, 1929 — opening day of the New York Central Terminal. 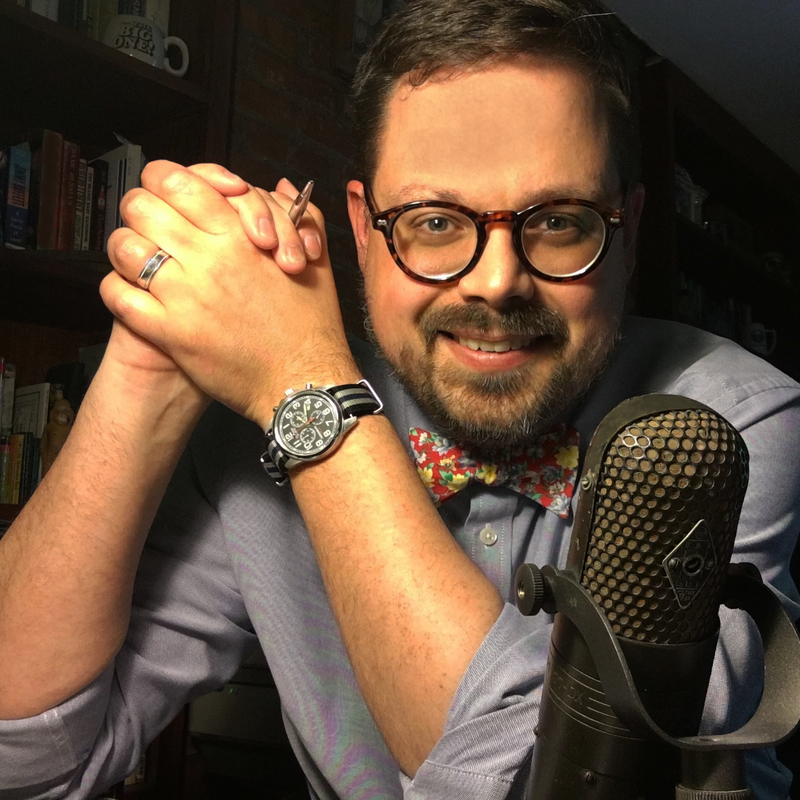 “This $15,000,000 edifice is more than a mass of steel, marble, brick and concrete artistically formed into a splendid example, of modern architecture, perfectly appointed and recognized as one of the finest terminals in the country,” he continued. “It is a civic monument and a symbol and pledge of the New York Central’s faith in the future greatness of the city. “Thousands of men and women, prominent in all walks of life, joined in the colorful ceremonies attendant upon the formal opening of the new station. Railroad brass and city fathers bragged endlessly about the features of the new building. It had enough lunch counter space to feed 250 people at the same time — dwarfing anything, they said, even at New York City’s Central terminal. In bragging about his latest triumph, W. P. Jordan, resident engineer of the New York Central railroad, offered some thoughts which might be useful to those looking to see the former rail hub returned to that purpose. 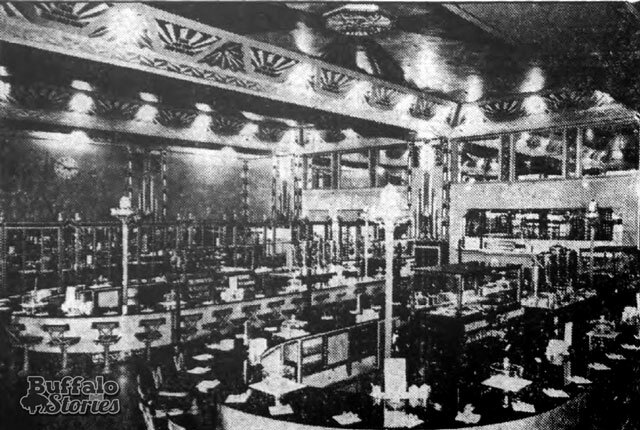 “In the second place, the location which some critics looked upon as out-of-the-way, carries with it some peculiar advantages, particularly as regards space. “The site of the building proper — old Polonia Park — Is itself one that offered unusual opportunities to create a terminal that has been created to meet the needs, not only of the Buffalo of today, but also the Buffalo of tomorrow. The $15 million building served as a passenger terminal in Buffalo from 1929- 1979. It was General Motors’ new, experimental, lightweight “dream train” on display at the New York Central Terminal in January 1956. The 10 passenger cars on the train were modified motor coach buses. 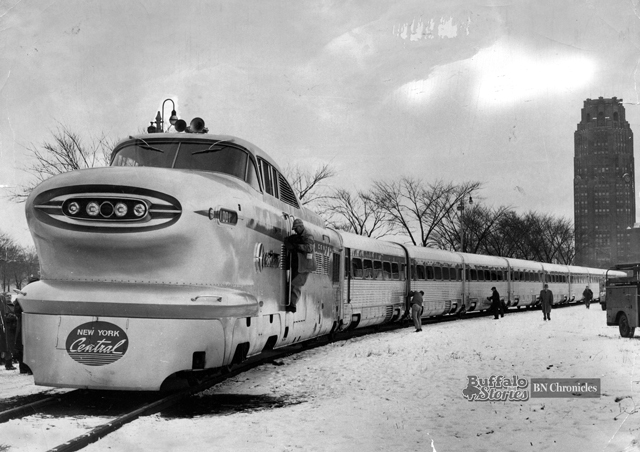 Also known as “The Aerotrain,” it was set to go into regular service between Detroit and Chicago later that year.